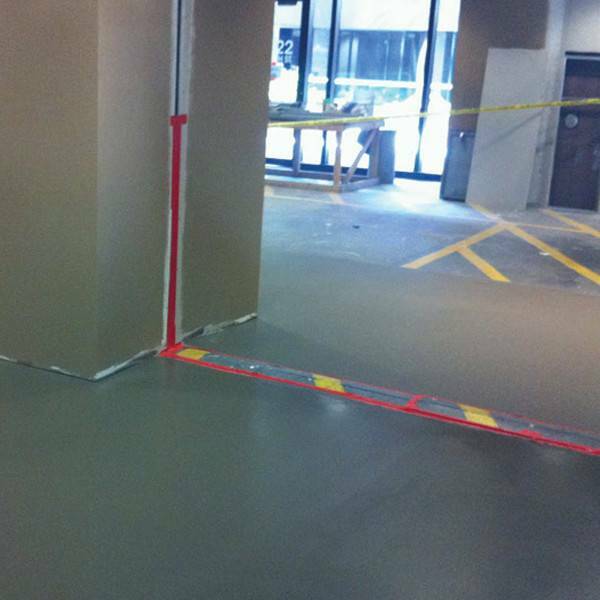 ARDEX K 500™ is a self-leveling, no troweling topping for fast track resurfacing, smoothing or leveling of indoor concrete. 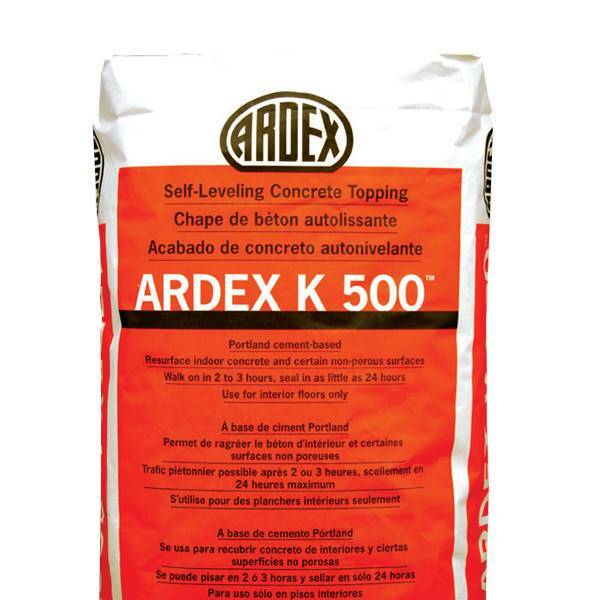 ARDEX K 500 can be installed from 1/4" to 1 1/2" (6 mm to 3.8 cm) thick in one operation and up to 5" (12.7 cm) with the addition of appropriate aggregate (install at a minimum thickness of 3/8" / 9.5 mm if being used as a polished topping). Use ARDEX K 500 in warehouses, utility rooms and light manufacturing areas to provide a hard, flat, smooth surface that can be sealed. Also use in areas that require a polished surface. Sealing can proceed in as little as 24 hours, and polishing can proceed in as little as 48 hours.